A guide to hiring professional conference interpreting services in the United States. 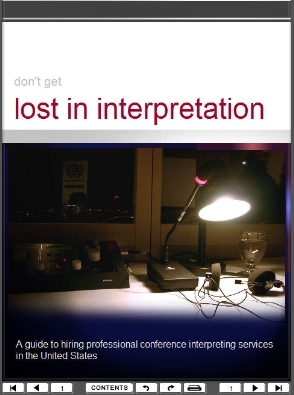 Written by conference interpreters for clients who demand quality. Dedicated to interpreter providers determined to rise to the challenge.